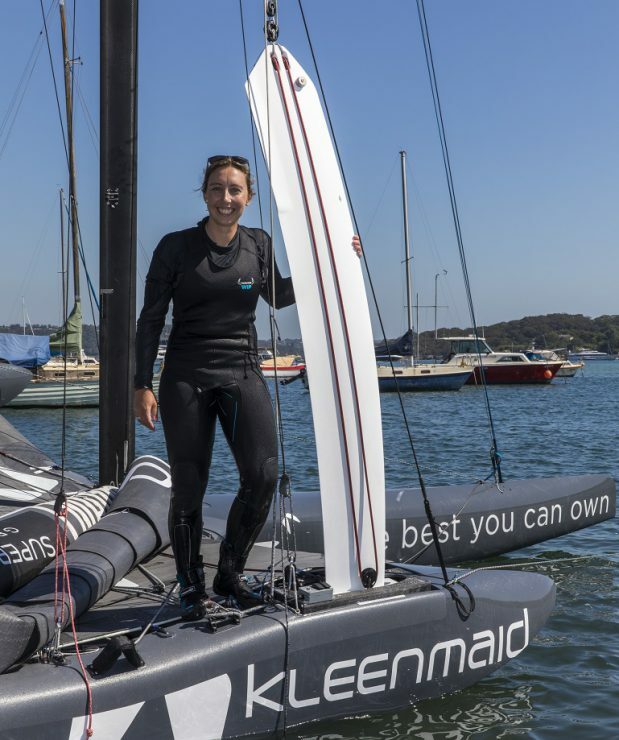 Olympian Olivia Price was officially unveiled as the skipper of the Kleenmaid SuperFoiler, the first of its kind on Australian waters, at an exclusive event in Sydney’s eastern suburbs earlier this week. 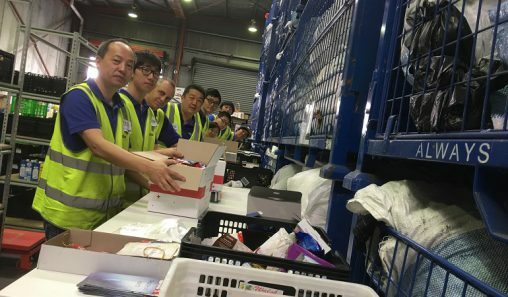 The London silver medallist will be joined by compatriots and world champions Josh McKnight and Harry Morton on the Kleenmaid SuperFoiler for the summer Grand Prix circuit which kicks off across Australia from February 2018. 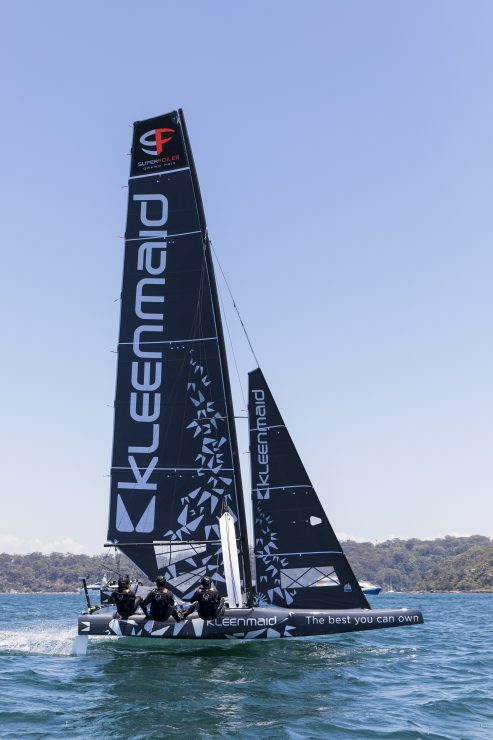 The Kleenmaid SuperFoiler will be joined on the Grand Prix circuit and on Sydney Harbour for training during December and January by five other SuperFoiler machines – all vying for the Ben Lexcen Trophy, which will be presented to the boat with the highest cumulative total after the five regattas. 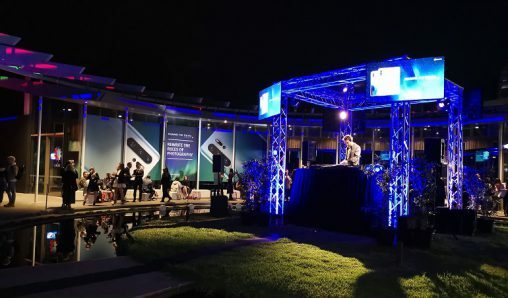 The racing will be livestreamed on Plus7 with immersive post produced coverage airing on 7mate. Channel 7 will also air a half an hour special on the SuperFoiler journey on December 26 as part of their Sydney to Hobart race coverage.